Blink... Blink... Blink... The cursor stares at you, waiting for you to do something. Anything. You've followed the online tutorials, you've tried try-ruby, and you've searched stack-overflow, but now that it's time for you to take the next steps, you don't know how to get started. You start to feel alone and frustrated. You know Ruby is awesome, happy, and powerful. Imagine being able to look at Ruby code and not only understand what it's doing, but being able to improve upon it. Imagine confidently submitting pull-requests to your favorite projects, and happily creating software that's powerful, easy to understand, and maintainable. And, imagine being paid very well to create Ruby for a living, enjoying every minute that you code. You'll learn the language, frameworks, tools, and world-views that make Ruby unique. With better Ruby, you'll understand the 'magic' that others take for granted with Rails, and have the ability to improve projects, and be the most valuable developer on a team. You experience real world problems in real time. You'll see actual struggles and experience what it's like for you to be a Ruby developer. You write code and submit pull-requests, choosing a difficulty level that fits with your current ability. You can see what code other students submit through the same journey. I got a lot out of this course. I was blown away with the live coding from the first episode. It was a great introduction to writing code with TDD. The explanations of some concepts (like yield) were terrific! I also liked the positive encouragement/feedback given to us in our pull requests/homework assignments. joy is coworking @nclud with the @railsgirlsdc crew on @rubyoffrails homework. @_max_k if you're interested in learning ruby outside of rails, I heartily recommend the @RubyOffRails course. When you think that all problems are solved and the tests are all green, you send a pull request. Jesse will have a look at your code and give you feedback. All this things i have not seen in any of the courses i have taken over the year. I Heartily Endorse Ruby Off Rails ... there’s no hope in understanding Rails without understanding Ruby. I am more interested in learning a programming language than a framework. Hi! 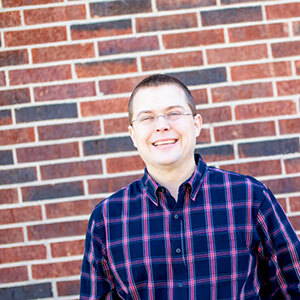 I'm Jesse Wolgamott, a freelance Ruby developer, screencaster, tutor, coach and aspiring chef. I blog at jessewolgamott.com and I've been a ruby and rails devotee since seeing find_by_username in Rails 1.2.1. I ran a BBS in the early 1990‘s and loved configuring the family 8086 menu system in DOS. I created Ruby off Rails to help developers truly love software development. I live in Texas (yay for BBQ and mexican food), and travel to Rails and Ruby conferences frequently. Have questions? Ask me jesse@rubyoffrails.com or on twitter: @jwo.